These all can be diagnosed by Radiology at Shalby Hospital. Shoulder Pain: It is a common complaint. Diagnosis by MRI & Shoulder ultrasound gives exact details required by surgeon for treatment. The change may be a simple swelling – synovitis to a surgically treatable condition such a tear of muscle or tendon. Cold and Sinusitis & EAR Discharge: ENT surgeons normally depend on Radiology examination of CT Scan, MRI for exact anatomy & diagnosis of the extent of disease in sinusitis & ear disease. Radiology diagnosis is the diagnostic key today. The Fetus, Congenital Malformations of the fetus, fetal growth during pregnancy and its maturity & behavior before birth are fully visible on ultrasound & color Doppler. Ectopic Pregnancy – Outside Uterus is also picked up. Rupture of such an ectopic pregnancy is accurately diagnosed by ultrasound & is lifesaving in emergencies. Breathlessness: Sometimes back pain, heaviness in breathing, pain on coughing and sneezing and breathlessness on walking in otherwise normal individual are signs of pleurisy (fluid in chest). This is easily diagnosed by X-ray or Ultra-sonographic examination. The above signs may be due to cancer. In such cases, a Chest X-ray, Ultrasound, and CT Scan will help diagnose most cancers and define the extent and spread of the disease along with other clinical examinations. All the above are risk factors that increase chances of breast cancer. Mammography & Sonography can detect >90% cancers, 2 years before they can be felt by hand. So get yourself examined if you haven’t undergone any health check. Surprised! Yes, Radiologists trained in Interventional radiology carry out non-invasive treatments of certain diseases given below. What is good about these treatments is that patient at any age and even high risk for surgery can be easily treated. If you are suffering from backache and pain radiating to legs or sciatica, then you can be treated by a novel treatment called ‘CT Guided Ozone Nucleolysis’. This is done under CT Scan guidance. You can go home within 24 hrs. You don’t have to undergo any more pain than just a small injection. 85% success rate is recorded worldwide with just one sitting. You can start normal activities after 3 days. If a patient coughs blood in the phlegm and it is 750 ml or more it is a serious condition and needs treatment. Sometimes such conditions may become life threatening. Radiology offers treatment for excessive bleeding through the sputum. It is done by blocking the bleeding vessel. It is called Menorrhagia. This condition is commonly due to Fibroids in the Uterus. 33% of women suffering from heavy menstrual bleeding have fibroids in uterus. They are formed from overgrown muscle of uterus. The excessive bleeding during menstrual periods is due to a greater blood supply to the fibroids. Fibroids are not cancer. They are benign or non-cancerous tumors. 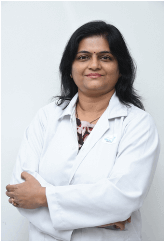 Radiology treatment for fibroids is simple & well established since two decades. It is called UFE (Uterine Fibroid Embolization). The blood supply of the fibroid is blocked through the treatment. The rest of the uterus continues to receive normal blood supply. Without blood the fibroid shrinks in size and soon literally vanished. This procedure is done in the Catheterization laboratory. It takes one day. Most of the patients undergoing this non-surgical procedure (95%) can go home after 24 hours. General anesthesia is not required. 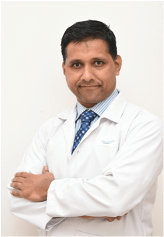 “This non-surgical removal of fibroids is the ideal treatment to tackle fibroids because if fibroids are removed by surgery, they may recur in 25% cases. No wonder in the USA & Europe women celebrities prefer this procedure to surgery. Condoleezza Rice, former US Secretary for Home, underwent this treatment for her fibroids. She attended political meetings the next day, because bed rest is rarely required after UFE treatment. Most important, those women with fibroids who could not conceive, may be able to bear children after their fibroids are treated with UFE. Patients of Pancreatic Cancers suffer severe pain in the abdomen. This pain can be reduced by ‘Celiac Ganglion Block’, where the nerves carrying the pain impulses are blocked under CT Scan Guidance. That is, the nerves are identified with the CT Scan machine and are injected with medicines which reduces or stops the cancer pain. Pus collection anywhere in the body is called an ‘Abscess’. Traditionally abscesses are treated by ‘Incision and Drainage’, which means the abscess is cut open and the pus is drained out. However, this treatment needs surgery with general anesthesia. Radiology can treat abscesses without incision by putting a ‘Drain’ inside the abscess cavity. This is done by putting a thick needle (under CT Scan or Ultrasound Guidance) into the abscess and pulling out the pus. The abscess cavity is thoroughly cleaned and the abscess is treated without a cut through a needle puncture. For example, Liver Abscess and ‘Pus Collection’ after surgery can be treated successfully by radiology. All of these conditions are treated by radiologist with angiographic blockage of abnormal blood flow – called embolization procedure. Only local anesthesia is used. Procedure takes 2 hours. Patient can go home the same day.